With artificial lawm suppliers producing better quality lawns all the time, artificial lawns are now more realistic than ever. The key points of this are maintenance free, great for areas of land with bad drainage and great for play areas where children wear natural lawns away. There are many different types to choose from, many colours, length of the pile and even dead grass detail for a great realistic feel and look. 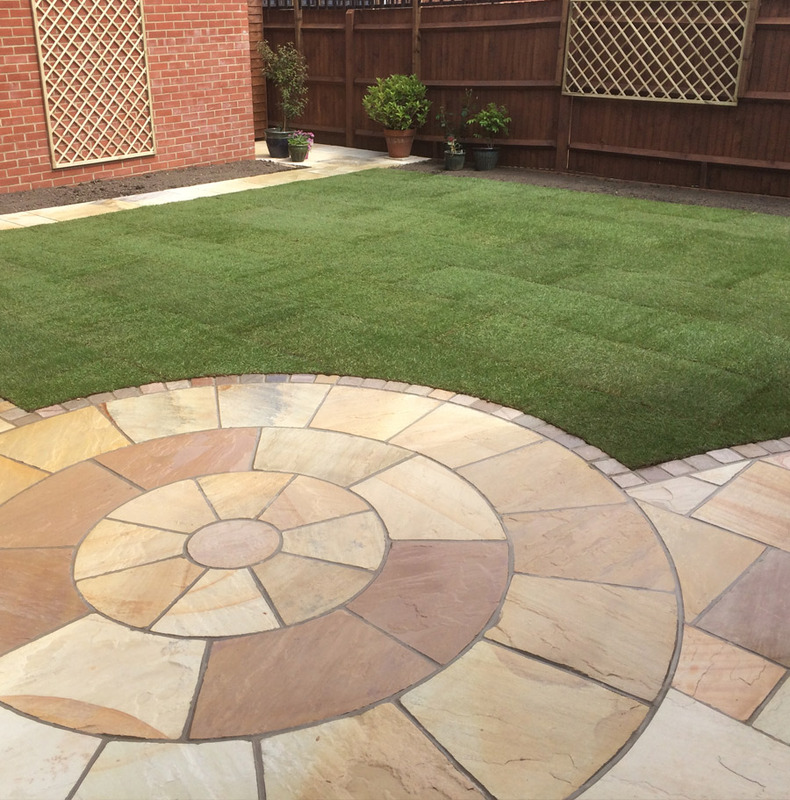 The area of land is excavated to a depth of 100mm then filled with the 70mm crushed, compacted stone, then 20mm levelled compacted sharp sand followed by membrane then lawn of your choice. Perimeter of lawn is held in place by a timber edge and a sand infill in the middle.